Specializing in making you the best Yin Yoga Teacher you can be. as a gift from his sister 18 years ago. The book poetically explores ideas that resonated with him then and continue to guide him today. With an MFA in art and 6 years as a grade school art teacher TJ has a deep appreciation for the journey of self-exploration that is essential to learning. That paired with traveling, reading countless books, and over a decade of meditation TJ decided that the inward journey would be his focus. He began seeking out teachers to deepen his understanding and go beyond the limits he had reached on his own. He took up residence at CAVE in Brooklyn NY, a Butoh Dance and performance space, where he began to study movement with several visiting teachers from Japan. During that time he also began practicing Shaolin Kung Fu and Tai Chi with Sifu Shi Yan Ming, a 34th generation Shaolin Temple monk. Soon after he travelled to San Francisco to study Zen Calligraphy with Kazuaki Tanahashi, a teacher of Zen Buddhism. When possible, TJ also attends lectures and teachings offered by HH The Dalai Lama, including the Kalachakra Mandala teachings that were offered in Washington DC in 2010. 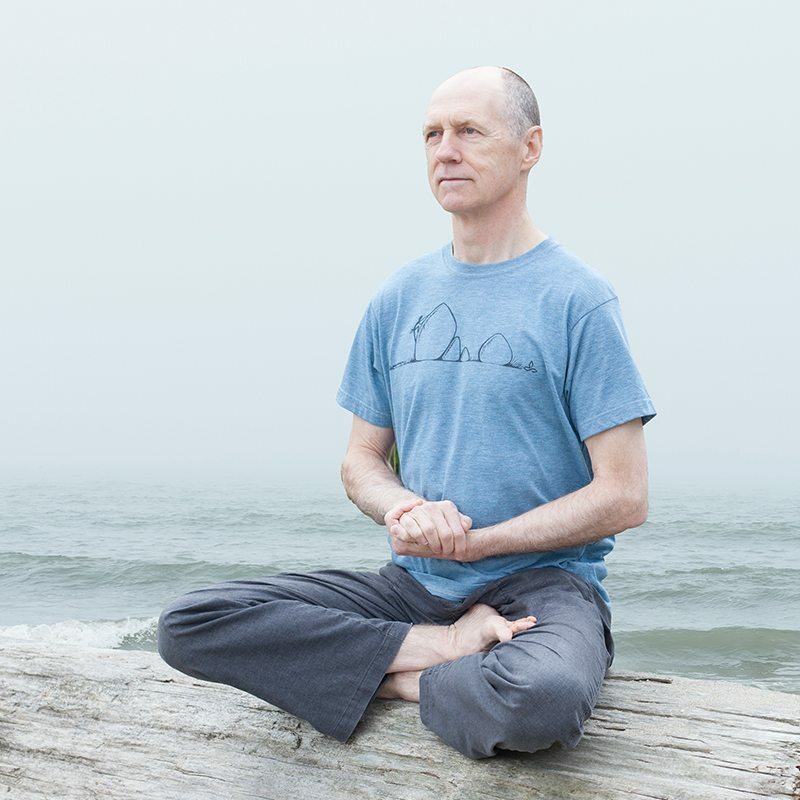 Several years ago TJ’s journeys finally led him back to Taoism via Yin Yoga beginning with Bernie Clark’s 60 hour Yin training in Vancouver. Next he studied with Corina Benner in her 30 hour Yin training in NYC. After that he found Stephanie Calhoun and took her 100 hour Yin training in New Brunswick. TJ liked Stephanie’s teachings so much he chose to pursue his 200 hour Yoga teacher training with her. From there he continued with her 100 hour Chakra training and 100 hour Restorative Yoga training, completing his 500 hour training in 2015. In November of that year TJ completed a 30 day solitary self-guided meditation retreat at Milarepa Center in Vermont. Most recently TJ went to Kripalu Center in Massachusetts to broaden his training and completed the first part of a Thai Yoga Massage certification with Sukha Wong. Below are my primary teachers who I have tremendous gratitude and respect for their kindness and teachings. I trained with Sifu Shi Yan Ming while living in New York. I learned the basic introductions to Shaolin Kung Fu and a large portion of an old form of Tai Chi mixing both hard and soft movements. I am always eager to continue my Shaolin training when opportunity arises and hold it very close to my heart. Sifu also taught Chan Buddhism in the Shaolin tradition. I learned my first Yin training from Bernie Clark and credit his book with inspiring me to fully embrace Yin Yoga. He taught me a great deal about Taoism simply by being around him. I look up to him as a model for my own Yin Yoga path. I trained with Stephanie Calhoun for a year learning incredible depths and details about anatomy. I completed my 500 hour including Ayerveda basics, Restorative and Yin Yoga in addition to the standard Yoga training. Her mixture of various other aspects of Yoga and fitness and massage therapy openned my eyes to how far Yin can go in supplementing other areas of study or practice. I had such a wonderful time studying with Corinna Benner, her spirit and joy just overflows in her teaching. Many of the things I learned in my other Yin trainings were reinforced and solidified during my time training with Corinna. I am always looking for ways to maintain a casual playfulness in my teaching that she did so effortlessly. My studies with Sukha Wong appeared out of nowhere and was such a wonderful unexpected gift. I was exploring what Thai Yoga Massage had to offer via a friend's interest and was absolutely in awe of Sukha's wonderfully goofy yet incredibly well informed teaching style. Such a brilliant mixture of childish play and highly skilled techniques shared so intuitively. Learning from Kazuaki Tanahashi was a dream of mine since I was in art school and first discovered his books and calligraphy works with giant brushes. His calm presence while always asking "Are you smiling?" during our training was so inspiring and yet so simple. Practicing Zen meditation was equally soothing as well as all of the casual discussions amidst hours of calligraphic practice. I am honored to have studied with him as an artist and Zen Buddhist it truly merged both worlds for me. I consider His Holiness The Dalai Lama to be a primary teacher, even my guru despite having not met to learn from him directly. I attend any of his lectures, ceremonies or initiations that I am able to and continue to learn from his teachings via his books and audio lectures. I was in attendance for several of his offerings in New York City and Washington D.C. including the Kalachakra Sand Mandala Initiation/Ceremony in 2010. "The abandon vital to me in the act of painting is the equivalent of the path of the spirit. Each day the art and the life must be renewed." I was fortunate to have had a short time studying with Don Kunz while studying painting at Cooper Union. He has since passed away and I credit him with encouraging some of the early seeds that transformed my art practice into my spiritual practice that exists today. His quote and painting above summarize him better than I could hope to. 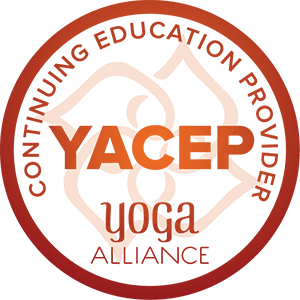 We develop a curriculum to guide students to become empowered Yin Yoga teachers for their community, for their clients and for themselves.